On this extra large corner lot sits a beautiful 2 story home with a side loading garage. The open floor plan is perfect for entertaining or family time. The spacious kitchen showcases an over sized butterfly island and is open to the great room with a gas fireplace. The laundry room is on the main floor. The 22x18 master bedroom offers a get away place for reclaiming some of the peace and quiet lost on hectic days. Master bathroom offers double sinks, corner tub and separate shower. All bedrooms boasts walk-in closets. The finished basement has a huge family room, additional 3/4 bathroom, as well as storage room. 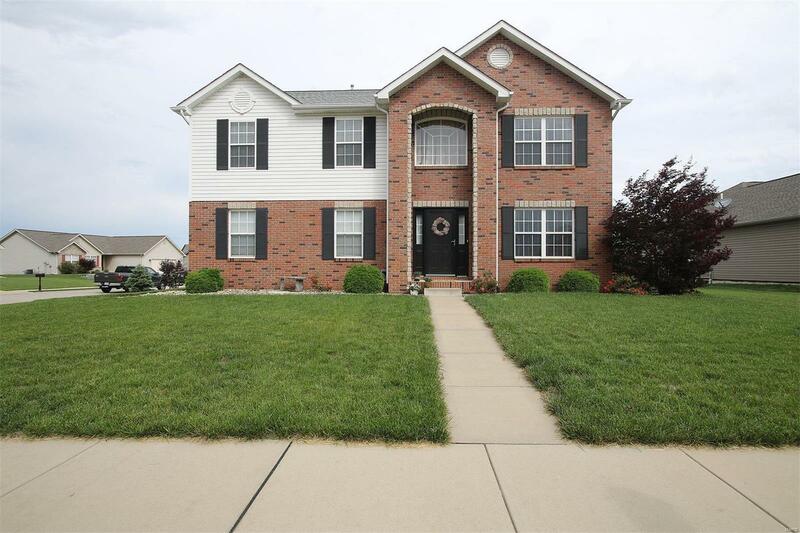 This home has zoned a/c and furnace fenced back yard is perfect for children and pets.